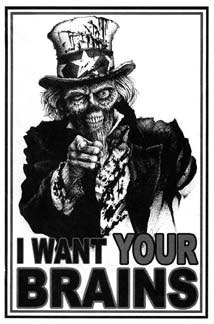 Wanna join the legions of the undead? 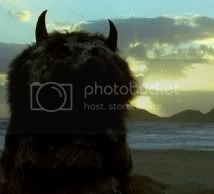 Duke D'oeuvre said "Oh, my… bullgod! My good sir, it would be an *honour* to be eaten by you. My best to the Feral Undead!" 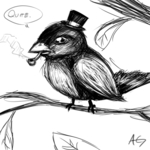 ... Is a very refined avian! Just need to put Feral Undead in your group box and you're good to go! Possibly the most often misspelled character name in all of UD, if not in all of Whittensdie. Well apparently im a Creeping Corpse. Does that make me a Ninja Zed ? Why is our ultimate Leader posting in this thread? Why is bullgod even being questioned? Are you suggesting we treat him differently, perhaps with some measure of respect??? Hell, Dirt, we didn't treat him with respect on the old board! If we start now he'll just think we're up to something sneaky and no-good. Yes, I'm an agent of Satan but my duties are largely ceremonial. we're up to something sneaky and no-good. That's how we roll! Graagh! 1, im not leader any more, ive been gone nearly 4 years now, so i felt it was important to establish that i was reaffirming my membership, not leadership.